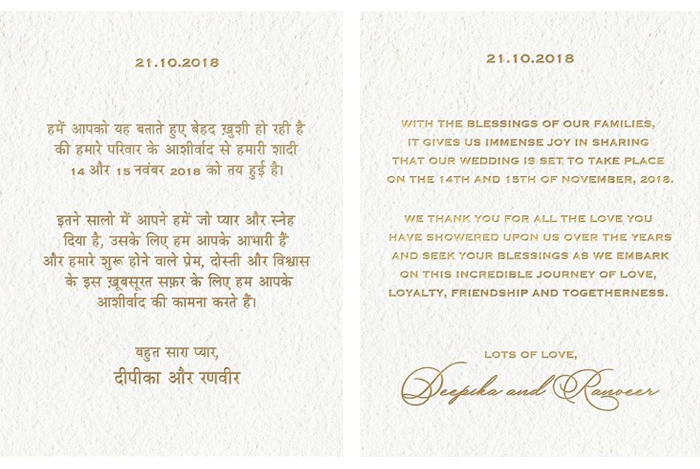 While we wait for our invite to the season’s hottest wedding – rumoured to be in Lake Como, Italy and followed by a reception at the Grand Hyatt Mumbai on 1st December – let’s look back at their epic Bollywood love story. 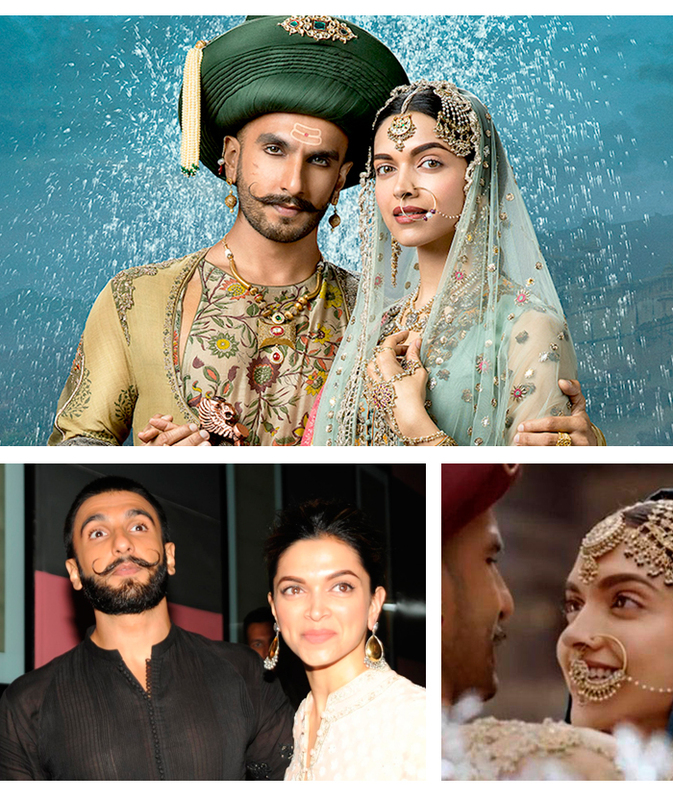 The pair first shared a set on Goliyon Ki Raasleela Ram-Leela, nearly six years ago. 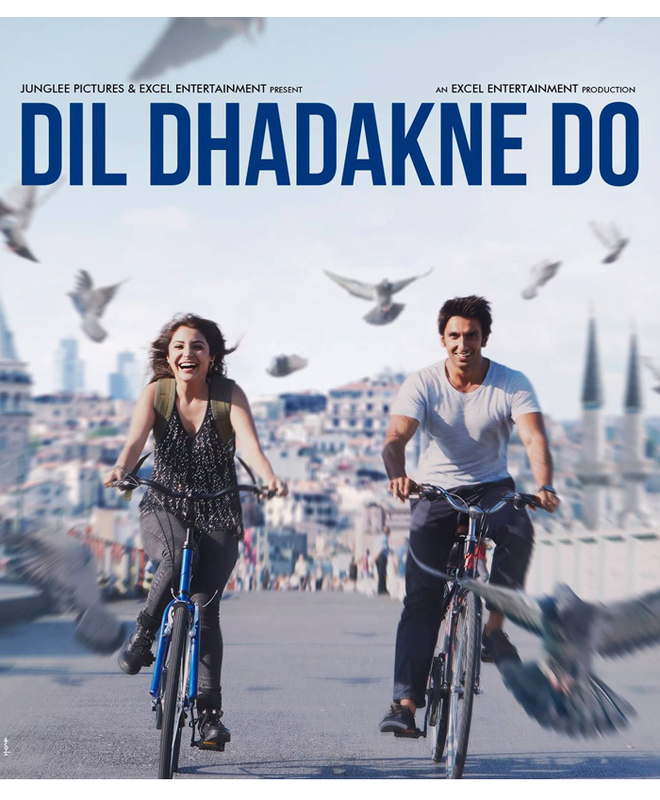 The on-screen love story clearly triggered an obsession in real life, although the pair never publicly confirmed their relationship until recently. After coming down with dengue fever and being stuck in hospital for a fortnight, Ranveer jokes in an interview that he was love-struck with 'Loveria'. Later that year he visits Deepika when she’s filming in Dubai, with a source confirming: “Ranveer dropped by for a few days with Deepika as her Dubai schedule is a long one. Dubai is a great place for a young couple to enjoy a romantic few days." CUTE. Deepika’s returns the favour and makes visits to Ranveer’s film set the following year while he was shooting Dil Dhadakne Do. She even flew to Istanbul to surprise him on his birthday – sounds like more than just friends to us! According to the rumour mill, the two were spotted celebrating the New Year together in the beautiful Maldives. Supposedly, Deepika was already there spending Christmas with her family and Ranveer joined her there. It’s straight on another plane for Deepika’s birthday on 5th Jan, this time NYC-bound. And yet, the stars still don’t admit that they’re officially together! These two are obsessed with each other. Their relationship is basically an open secret by the time IIFA 2015 rolls around. Both actors and their families enjoy a summer break in London AT. THE. SAME. TIME. You don’t have to be Sherlock to figure this one out. How sweet that their families get on well enough to holiday together? According to an article in Stardust, Ranveer bought a flat in the same complex as Deepika, but a different building. Now while it’s not exactly her clearing drawer space for him in her house, it’s one step closer. Is this commitment? We think so! 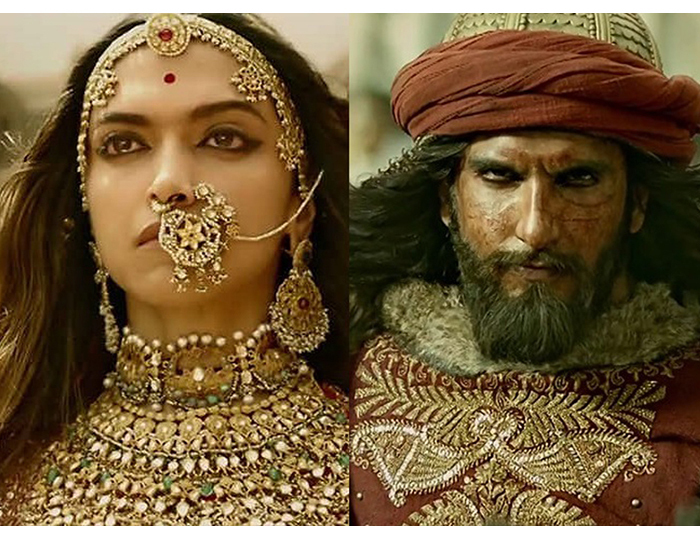 Sanjay Leela Bhansali’s epic love story hits the big screen and the chemistry between Deepika and Ranveer is palpable. When they do promos for the movie it’s clear that their love story is off-screen as well as on. Back on screen and selling out box offices across the world with their epic romance both on- and off-screen. Congratulations to the happy couple. We can't wait for the wedding!